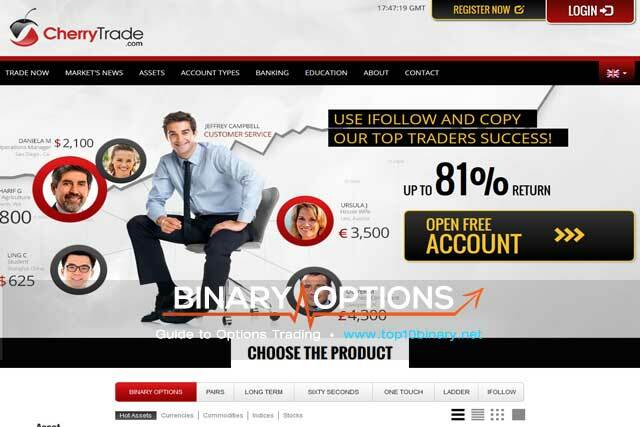 One Binary Options trading site that we just know is going to give you by far and away the ultimate trading experience, more so if you are a USA based trader is CherryTrade. 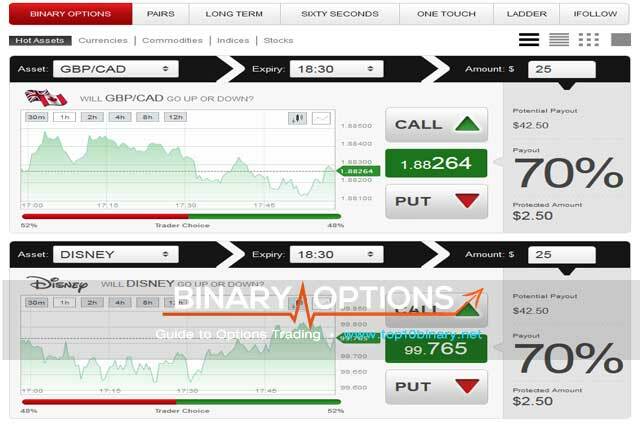 They offer a wide and very varied spread of Binary Options and they also offer a range of different trading account to suit low, mid and high volume traders. You are able to open one of five different account types when you sign up to CherryTrade, and as such please do take a look through the benefits attached to each of these various accounts, as one of them will suit your trading style! Classic Account – This is an ideal account for new Binary Options traders, and you are able to open a Classic Account with a deposit of just $200 and will be able to claim a 25% deposit match type bonus on your very first deposit. Bronze Account – You will be allowed four risk free trades if you choose to open a Bronze Account at CherryTrade and the minimum required deposit to open one of these accounts is just $500, and if you opt for a Bronze Account you can claim an instant bonus of up to 35%! 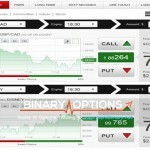 Silver Account – One of the most popular trading accounts at CherryTrade is their Silver Account, this type of account can be opened with a minimum deposit of $1000, and you are able to make up to 4 x $50 risk free trades and also claim a 50% deposit match bonus when you initially open and fund your account at CherryTrade. Gold Account – Should you be a mid to high volume trader then the Gold Account offered at CherryTrade will be an ideal account to open. A deposit of $5000 will see you not only being able to claim a bonus worth 75% but you will also be able to place up to four $250.00 risk free trades! Platinum Account – The final account type that you may wish to open at CherryTrade is one of their Platinum Accounts, and the benefits on offer on this type of account really do speak for themselves!You need to deposit a minimum of $10,000 to open a Platinum Account at CherryTrade, but when you do you are going to have access to up to 4 x $500 risk free trades and can take advantage of a welcome bonus worth 100% of your initial deposit amount! You are able to access and utilize both a web browser based trading platform at CherryTrade along with a downloadable mobile trading App. Both platforms are extremely advanced and will let you pick and choose exactly the type of trade you wish to place, whether that is a standard Call or Put Trade or a One Touch or 60 second trade. In addition to the trading platforms offered at CherryTrade you are also going to find all of the latest financial news stories and will also have free and unrestricted access to their very informative Education Center.